Bernadette (the sobriquet by which she was universally known) was the daughter of François Soubirous (Francés Sobirós in Occitan) (1807–1871), a miller, and Louise (Loïsa Casteròt in Occitan) (1825–1866), a laundress. She was the eldest of nine children—Bernadette, Jean (born and died 1845), Toinette (1846–1892), Jean-Marie (1848–1851), Jean-Marie (1851–1919), Justin (1855–1865), Pierre (1859–1931), Jean (born and died 1864), and a baby named Louise who died soon after her birth (1866). Bernadette was born on 7 January 1844 and baptized at the local parish church, St. Pierre’s, on 9 January, her parents’ wedding anniversary. Bernadette’s godmother was Bernarde Casterot, her mother’s sister, a moderately wealthy widow who owned a tavern. Hard times had fallen on France and the family lived in extreme poverty. Bernadette was a sickly child. She contracted cholera as a toddler and suffered severe asthma for the rest of her life. Bernadette attended the day school conducted by the Sisters of Charity and Christian Instruction from Nevers. By the time of the events at the grotto, her family’s financial and social status had declined to the point where they lived in a one-room basement, formerly used as a jail, called le cachot, “the dungeon,” where they were housed for free by her mother’s cousin, Andre Sajoux. On 11 February 1858, Bernadette, then aged 14, was out gathering firewood with her sister Marie and a friend near the grotto of Massabielle (Tuta de Massavielha) when she experienced her first vision. As she recounted later, while the other girls crossed the little stream in front of the grotto and walked on, Bernadette stayed behind, looking for a place to cross where she wouldn’t get her stockings wet. She finally sat down to take her shoes off in order to cross the water and was lowering her stocking when she heard the sound of rushing wind, but nothing moved. A wild rose in a natural niche in the grotto, however, did move. From the niche, or rather the dark alcove behind it, “came a dazzling light, and a white figure.” This was the first of 18 visions of what she referred to as aquero (pronounced [aˈk(e)ɾɔ]), Gascon Occitan for “that”. In later testimony, she called it “a small young lady” (uo petito damizelo). Her sister and her friend stated that they had seen nothing. On 14 February, after Sunday Mass, Bernadette, with her sister Marie and some other girls, returned to the grotto. Bernadette knelt down immediately, saying she saw aquero again and falling into a trance. When one of the girls threw holy water at the niche and another threw a rock from above that shattered on the ground, the apparition disappeared. 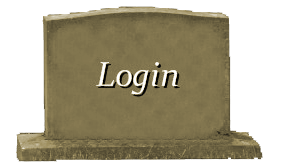 On her next visit, 18 February, she said that “the vision” asked her to return to the grotto every day for a fortnight. This period of almost daily visions came to be known as la Quinzaine sacrée, “holy fortnight.” Initially, her parents, especially her mother, were embarrassed and tried to forbid her to go. The supposed apparition did not identify herself until the seventeenth vision. Although the townspeople who believed she was telling the truth assumed she saw the Virgin Mary, Bernadette never claimed it to be Mary, consistently using the word aquero. She described the lady as wearing a white veil, a blue girdle and with a yellow rose on each foot — compatible with “a description of any statue of the Virgin in a village church”. Bernadette’s story caused a sensation with the townspeople, who were divided in their opinions on whether or not Bernadette was telling the truth. Some believed her to have a mental illness and demanded she be put in an asylum. The other contents of Bernadette’s reported visions were simple and focused on the need for prayer and penance. On 25 February she explained that the vision had told her “to drink of the water of the spring, to wash in it and to eat the herb that grew there,” as an act of penance. To everyone’s surprise, the next day the grotto was no longer muddy but clear water flowed. 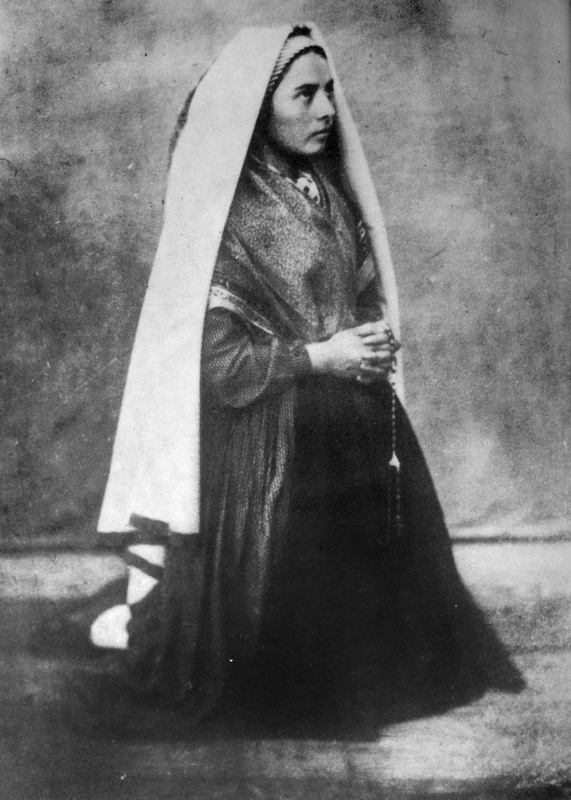 On 2 March, at the thirteenth of the alleged apparitions, Bernadette told her family that the lady said that “a chapel should be built and a procession formed”. Her 16th claimed vision, which she stated went on for over an hour, was on 25 March. According to Bernadette’s account, during that visitation, she again asked the woman for her name but the lady just smiled back. She repeated the question three more times and finally heard the lady say, in Gascon Occitan, “I am the Immaculate Conception” (Qué soï era immaculado councepcioũ, a phonetic transcription of Que soi era immaculada concepcion). Some of the people who interviewed her after her revelation of the visions thought her simple-minded. However, despite being rigorously interviewed by officials of both the Catholic Church and the French government, she stuck consistently to her story. After thorough investigation Church authorities confirmed the authenticity of the apparitions in 1862. In the 150 years since Bernadette dug up the spring, 69 cures have been verified by the Lourdes Medical Bureau as “inexplicable” — after what the Church claims are “extremely rigorous scientific and medical examinations” that failed to find any other explanation. The Lourdes Commission that examined Bernadette after the visions ran an intensive analysis on the water and found that, while it had a high mineral content, it contained nothing out of the ordinary that would account for the cures attributed to it. Bernadette said that it was faith and prayer that cured the sick. Her request to the local priest to build a chapel at the site of her visions eventually gave rise to a number of chapels and churches at Lourdes. The Sanctuary of Our Lady of Lourdes is now one of the major Catholic pilgrimage sites in the world. One of the churches built at the site, the Basilica of St. Pius X, can accommodate 25,000 people and was dedicated by the future Pope John XXIII when he was the Papal Nuncio to France. Close to 5 million pilgrims from all over the world visit Lourdes (population of about 15,000) every year. Disliking the attention she was attracting, Bernadette went to the hospice school run by the Sisters of Charity of Nevers where she finally learned to read and write. Although she considered joining the Carmelites, her health precluded her entering any of the strict contemplative orders. 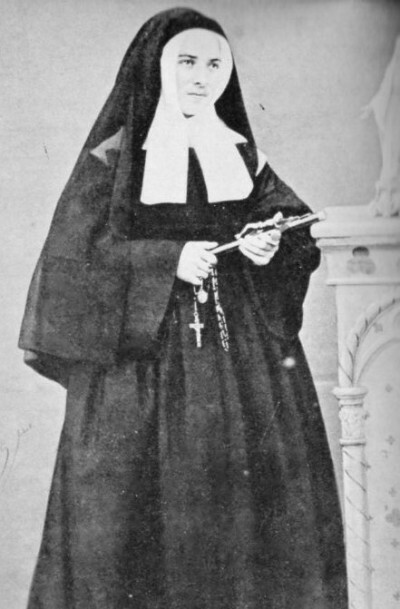 On 29 July 1866, with 42 other candidates, she took the religious habit of a postulant and joined the Sisters of Charity at their motherhouse at Nevers. The Mother Superior at the time gave her the name Marie-Bernarde in honor of her godmother who was named “Bernarde”. She spent the rest of her brief life there, working as an assistant in the infirmary and later as a sacristan, creating beautiful embroidery for altar cloths and vestments. She later contracted tuberculosis of the bone in her right knee. She had followed the development of Lourdes as a pilgrimage shrine while she still lived at Lourdes, but was not present for the consecration of the Basilica of the Immaculate Conception there in 1876. 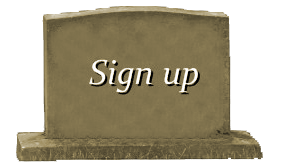 For several months prior to her death, she was unable to take an active part in convent life. She eventually died of her long-term illness at the age of 35 on 16 April 1879. Her body was laid to rest in the Saint Gildard Convent.